LipoDissolve: Is it Right for You? LipoDissolve is a procedure which helps dissolve fat. The procedure has been around for at least 3 decades and widely used in Europe. The procedure has been modified and used in North America for about 3-4 years. It basically involves a series of miniscule injections of chemicals which dissolve localized areas of fat deposits. What is the principle of Lipo Dissolve? LipoDissolve is a procedure which involves micro-injections of a formulation consisting of two naturally occurring chemicals, phosphatidylcholine and deoxycholate, into the fatty areas. These chemicals act like detergents and have the ability to dissolve fat. Both these substance are normally secreted and stored in the gall bladder and help in the digestion of fat. Generally a brief exam of the body is done and all possible areas are photographed and marked. Because the results are gradual, most physicians tend to record size of the lesions and obtain pre and post procedure photographs. How much area can be treated in one session? Generally 2-3 large areas are treated in one session. The swelling and tenderness does increase with the volume of injection and this is a limiting factor for therapy. One has to be aware that numerous cosmetic centers have been known to use dilute products with poor results. Which part of the body can be treated with LipoDissolve? What other conditions can be treated with LipoDissolve? Even though LipoDissolve is a minor procedure, it should always be performed by a physician. Improper use and use by non professionals can lead to complications. Can skin or muscle be dissolved with LipoDissolve? Generally, proper and safe injection of the solution does not affect the skin or muscles. Who is a candidate for LipoDissolve? Generally LipoDissolve is a minor procedure and unlike surgery is used to remove small amounts of fat in localized areas. The physician will examine you prior to the patient and determine if you are the right candidate. Unlike liposuction, LipoDissolve is only meant to remove small pockets of fat in the body. What happens to the fat after LipoDissolve? The LipoDissolve breaks down the fat which is later cleaned up by the body's scavenging cells. This scavenging process takes a few weeks and cleans up the treated area. The removal of fat is permanent and the surrounding areas become flat and compact. Often LipoDissolve has been used to correct the unevenness seen after liposuction and lipoplasty. The results of LipoDissolve are variable and the results are dependent on the size of the area treated. The majority of individuals show a loss of at least 2-6 cm per treatment. The highest fat loss typically occurs in the waist/belly and the lowest fat loss occurs in the legs. Unfortunately not so. If the individual gains weight the fat will return. The best results are obtained when physical activity and dietary changes are continued after LipoDissolve. This strictly depends on the area and size of the fat deposits, in most cases, 1-4 sessions may be required. Each session lasts about 30-45 minutes. At least 4-6 weeks are allowed in between each session to allow for the full effect of the therapy. The procedure is strictly elective and should be done in a relaxed atmosphere. What are side effects of LipoDissolve? The procedure is associated with mild pain during the injection. After the procedure, some individuals may complain of a mild bruising, swelling, tenderness and a burning sensation in the area of injection. The mild soreness and bruising usually dissipates in over 4-7 days. The results of LipoDissolve are gradual and take a few months to become obvious. Results of smaller areas become more noticeable in a few weeks but most individuals require a few months. A loss of 2-3 inches of fat usually requires at least 2-4 sessions of therapy and results may take a few months. When can one return to normal activity? The majority of individuals can return to normal activity within 1-2 days. For those with facial bruising, the cosmetic features may appear unattractive until the bruising subsides in such cases, a week to 10 days should be allowed to recover. However, most individuals can return to work within 3-4 days. Almost any physician can perform the procedure but it is most commonly done by plastic and cosmetic surgeons. Because the procedure is entirely cosmetic and requires CASH money, there is a bandwagon of health care professionals clamoring for the business. So check into your physician's credentials and ask for his/her experience with the procedure. What is difference between LipoDissolve and mesotherapy? Mesotherapy is a slower process and requires the use of stronger chemicals. 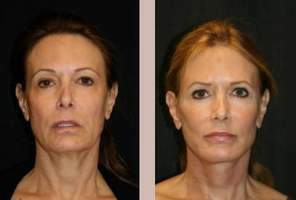 The procedure requires numerous sessions and is much more expensive than LipoDissolve. LipoDissolve contains a standardized mixture of naturally occurring chemicals, requires smaller injections, fewer sessions and the response is much more rapid. Is the procedure covered by medical insurance? No, the entire procedure is considered cosmetic and not covered by any medical insurance company. The cost for a Lipo Dissolve can be between $400 - $1000.